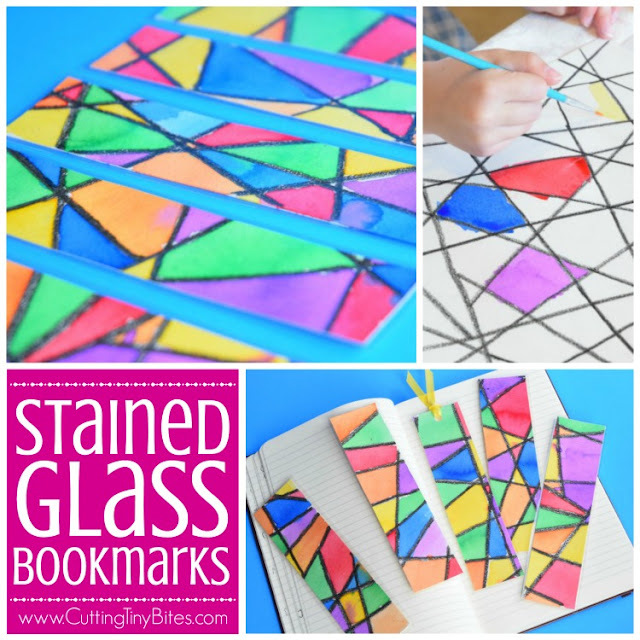 These Stained Glass Bookmarks are easy for kids to make and just so darn beautiful! 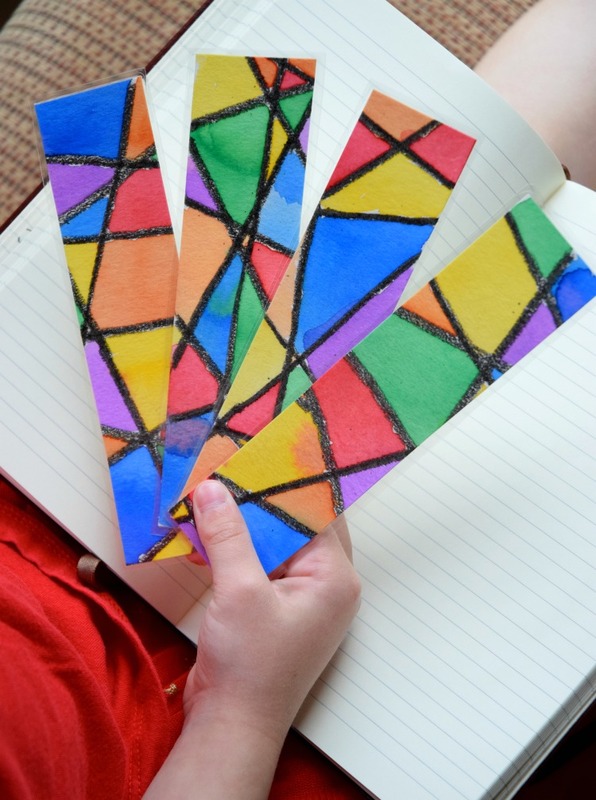 They make great gifts for kids to give to teachers, friends, siblings, or grandparents! Ready to make your own? 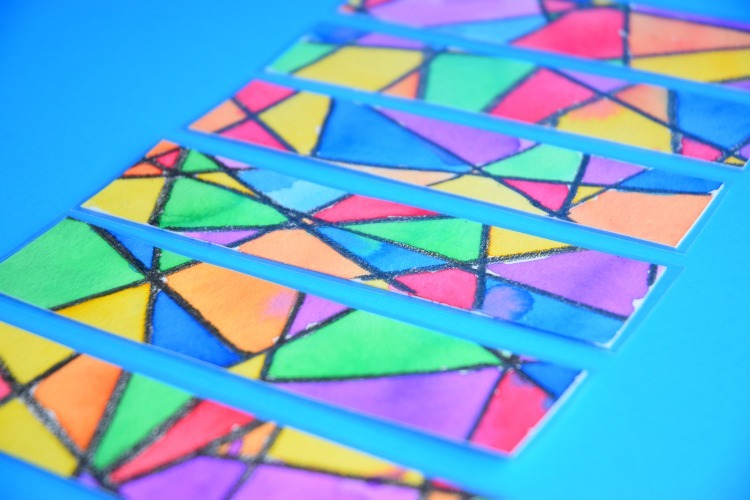 For this project you'll need watercolor paper, a ruler, pencil, non-washable black crayon, liquid watercolor, paintbrushes, scissors, laminator and laminating pouches, hole punch, and ribbon. 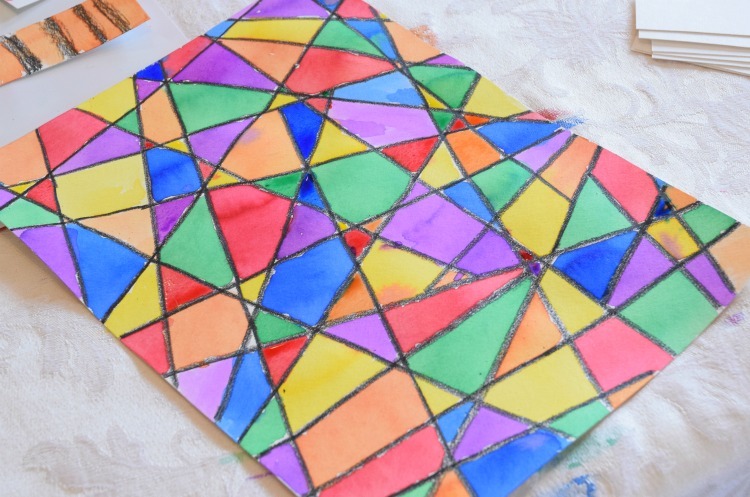 Watercolor paper is really important - don't try to substitute copy paper or construction paper. 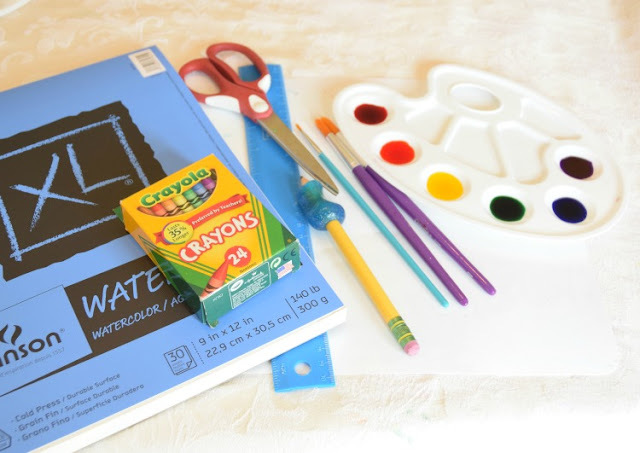 We love using liquid watercolors; you could also use regular watercolors, though the color wouldn't be as vibrant. 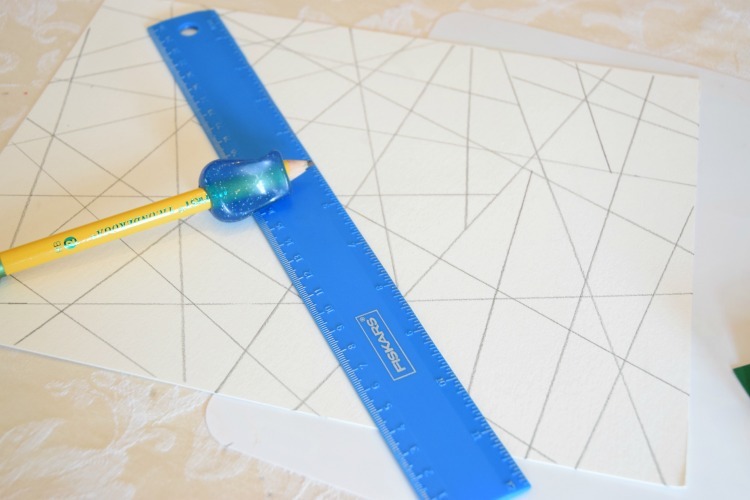 Using a ruler, draw criss-cross lines over your paper. Go over the lines heavily in black crayon. 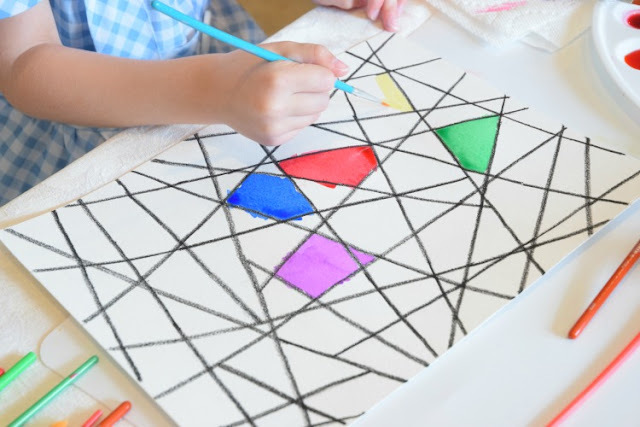 Make sure your crayon is not washable or the watercolor paint will smear the lines! Paint the different sections of your paper in different colors. Try not to have the same color touching. Fill the whole page. Isn't it pretty? Flip your paper over and draw bookmarks to cut out in pencil. Draw one line across the middle lengthwise, and then divide the paper into strips approximately 1" wide. Cut them out! 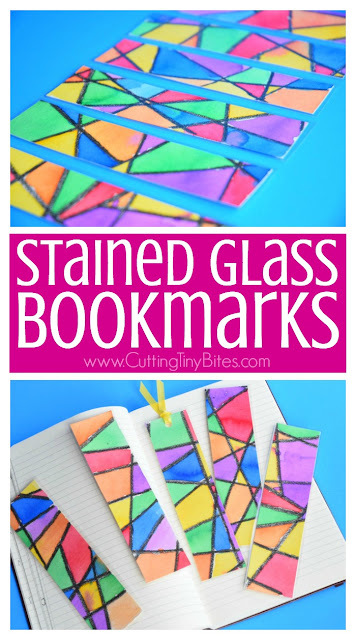 Laminate the bookmarks and cut them out. 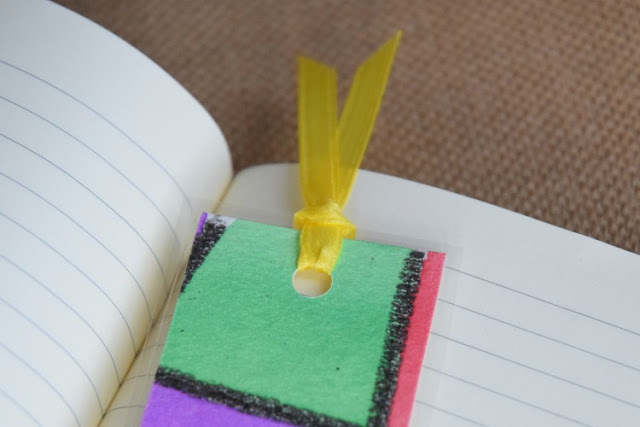 If you want to add a ribbon to the top, punch a hole and tie a simple knot. 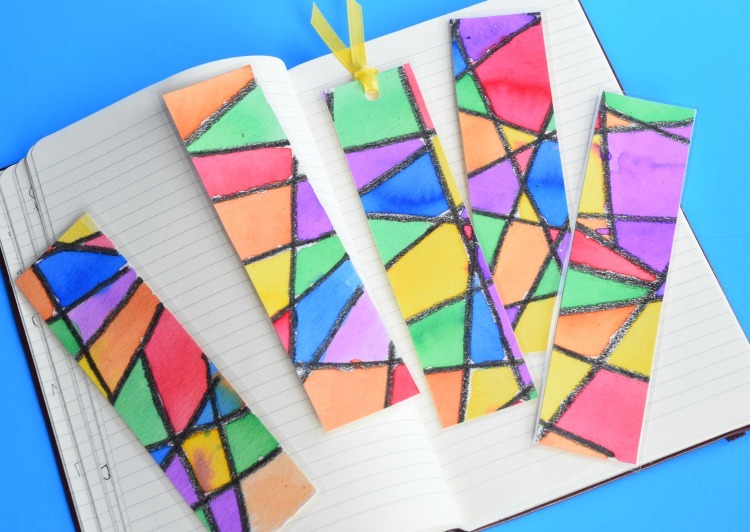 Won't these bright and cheerful bookmarks put a smile on your face whenever you crack open your book to read? 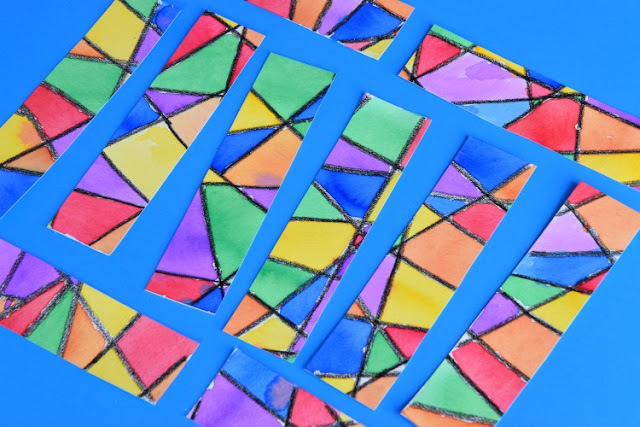 They're a simple craft for your kids, and a great gift to give - add them to your "to-make" list! Stained Glass Bookmarks- simple and beautiful process art craft that kids can make to give as a gift for teachers, grandparents, siblings, parents, or friends.